We stock doors from the UK’s leading suppliers XL Joinery, Premdor and JB Kind . JB Kind has been a leading supplier of wooden doors to the UK housing market for more than three decades and timber specialists for over 140 years. Their ethos is to provide innovative, quality products in a large selection of designs and styles, and to deliver their customers with an exceptional experience. 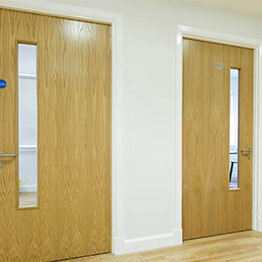 XL Joinery are market leading suppliers of wooden doors and associated products. For over 25 years they have been helping homeowners transform the spaces they love through our innovation and constantly evolving their product range. Indeed innovation is at the heart of XL and forms part of their core values. Premdor is one of the UK’s leading manufacturers of timber doors. They supply both interior and exterior doors and our extensive range also includes everything from French and folding doors to doorsets. Their products benefit from almost 90 years of experience in door and joinery manufacturing. Premdor was the first joinery manufacturer to produce and sell moulded panel doors in the UK and, as a result, they have gained an unrivalled reputation for offering new joinery solutions to the market. We supply a wide range of fire safety doors and we can have bespoke fire doors made, working with a range of manufacturers ; all of which meet BWF-CERTIFIRE standards. Visit us in store today to discuss your needs and we can help you create the ideal safety door for your property.